A long-overdue look at the legendary sound library music scene overseas – produced by Shawn Lee, who's clearly a strong fan of the genre with the style of his own music – and featuring appearances by Lee, and a host of sound library legends who include Alan Hawkshaw, Brian Bennett, Janko Nilovic, Keith Mansfield, Alan Parker, John Cameron, and Stefano Torossi – all artists whose funky music we've stocked strongly over the years! 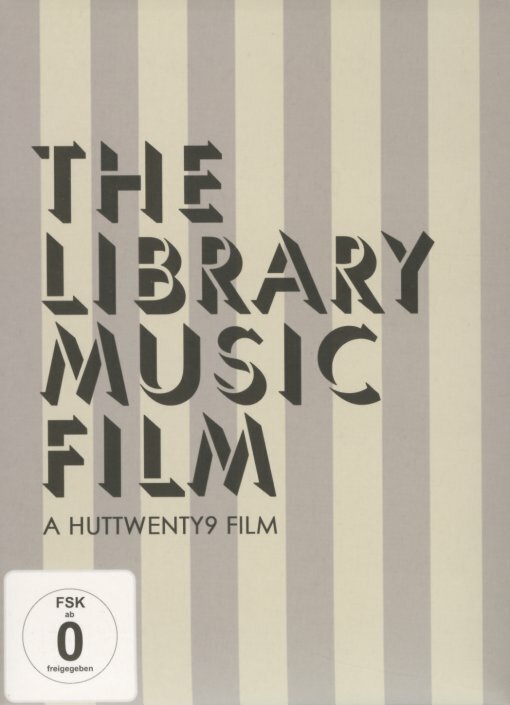 The film tells the full story of this underground world where great musicians and composers created amazing music that was often not for sale to the public – but just stored away in libraries, with hopes for later use in films, or broadcast on TV or radio! Yet despite the "secret" nature of the sound library recordings, they've grown to legendary status over the decades – thanks to the work of record collectors and DJs, plus a fair number of artists who've sampled their cuts too. Some of these are included in the film – which also features appearances by Cut Chemist, Adrian Younge, Matt Berry, Fatboy Slim, Mr Thing, and others. The core film is almost two hours, and the DVD features almost an hour's worth of bonus features too. © 1996-2019, Dusty Groove, Inc.